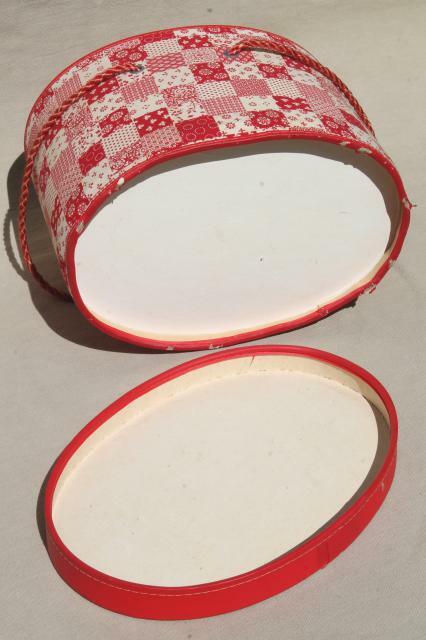 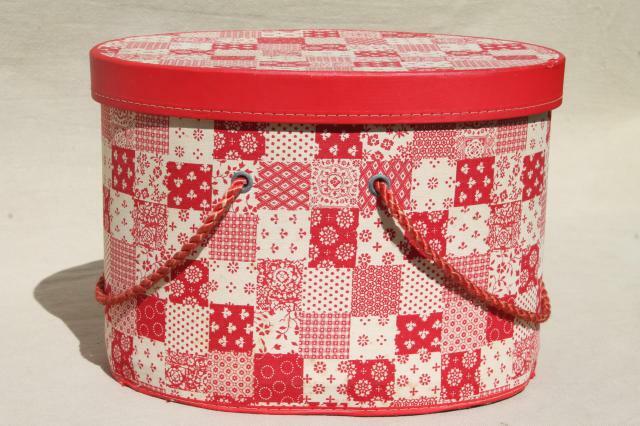 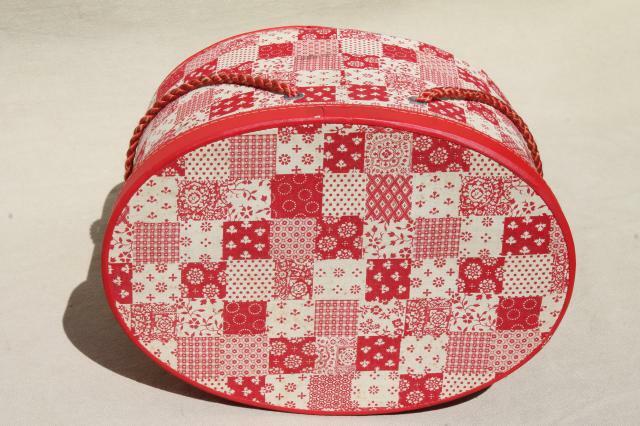 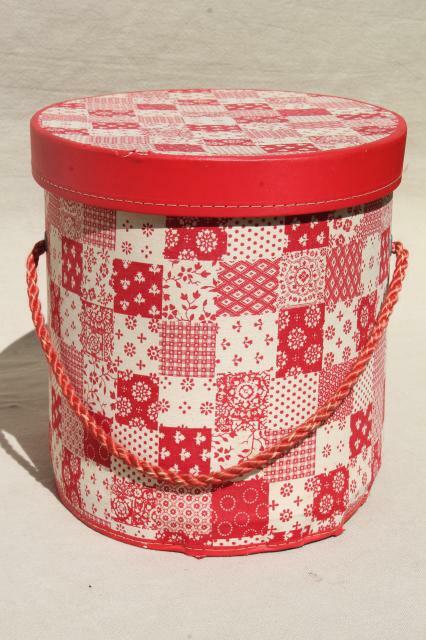 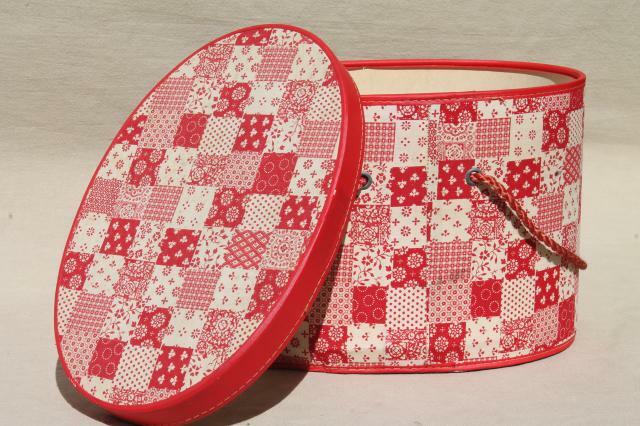 Cute little hatbox style sewing box with red and white patchwork print exterior, 1960s or early 70s vintage. 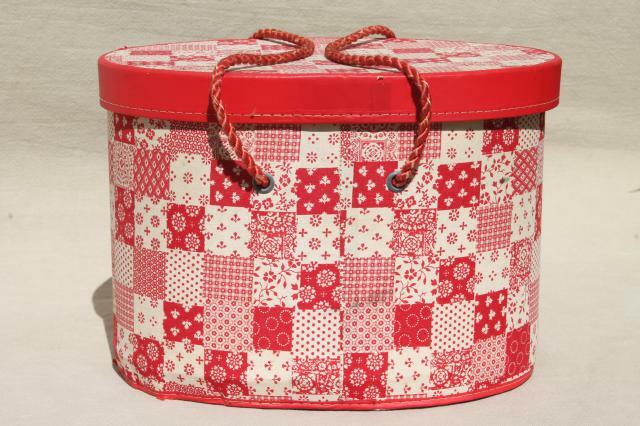 This measures about 10 1/2" x 7 1/2" x 7 1/2" tall overall. 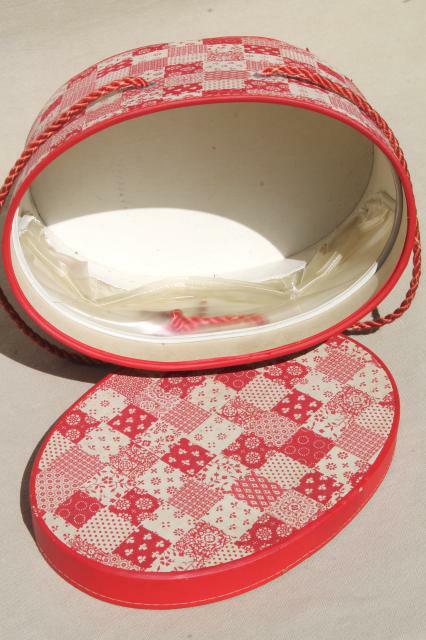 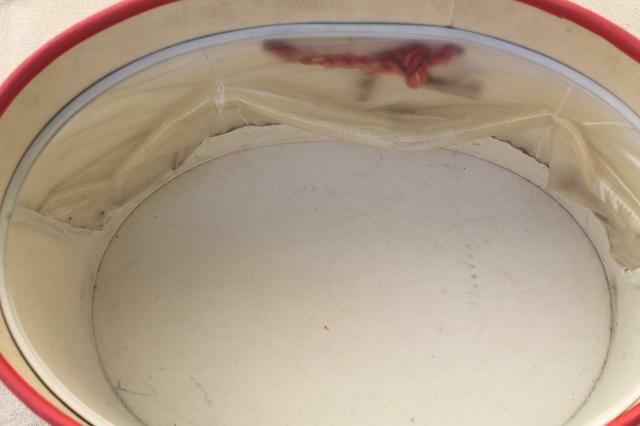 It's used but clean, very little yellowing or soil inside or out.